The phrase "March Madness" may be irresistible, and not only to basketball fans, but using it to promote a business without permission is illegal. For business owners looking to add a little zing to their own marketing and advertising campaigns, March Madness sounds as good as Black Friday or Cyber Monday, and is often misused. The official title of the NCAA basketball finals event is copyrighted. 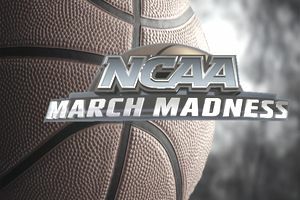 March Madness is one example of a copyrighted or trademarked title. It cannot be used to describe or promote any unrelated sports event. The Emmy Awards is another example, with similar restrictions in the entertainment industry. "People or entities can't use the NCAA's marks to promote their products or services in a commercial way. That means no posters on doors of casinos inviting people to March Madness gamblepalooza, no Internet ads luring people to websites where they can buy unauthorized March Madness gear and no March Madness ads on websites trying to get people to bars or concerts or events that aren't NCAA sponsors." Trademark lawyers for the owners of these copyrights watch the internet and other advertising venues to find and prosecute violators. Why Do Companies Pursue Trademark Infringements? Companies pursue trademark infringements because they have to. If they aren't diligent in stopping others from using their trademarks, they may lose the rights to the trademark. At the very least, they lose the marketing power that the trademark once held. Harley Davidson, for example, relentlessly pursues people who sell knockoff goods bearing the Harley Davidson name or logo. The news media is exempt from trademark restrictions for coverage of events like March Madness and the Academy Awards. A sports reporter can refer to March Madness in reporting the action at the NCAA's annual college basketball tournament. Using images or video from those events is another story, and many use restrictions apply. If you're interested, Seattle Trademark Lawyer has a brief history of the trademarking of the term "March Madness." How Do You Find Out If a Term Is Trademarked? If you see the ® for a registered trademark or a ™ for a trademark in the process of being registered, you are being notified that you must not use this trademarked phrase without permission in any other business. The best place to be sure of the status of a phrase or name is the U.S. Patent and Trademark Office (USPTO) website. Trademark owners often approve use of their name by specific manufacturers of specific products, for a fee. That's why there are "official" March Madness banners. But the company that tried to use marchmadness.com as a URL was successfully sued by the NCAA and March Madness Athletic Association. What Happens If I Violate a Trademark? Let's say you start a burger place called Wendy's, or even Windy's. If the Wendy's organization finds out about it, it will send you a cease-and-desist notice ordering you to stop using the name. If you ignore the notice, the company will begin a litigation process to stop you. Are Black Friday and Cyber Monday Trademarked?